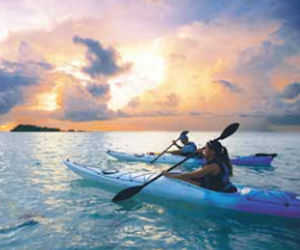 In this brochure you’ll get to know what your Florida Keys vacation can and will be like. What you’d expect. And what will surprise you. Our fame and our secrets. We figured we owed it to you. 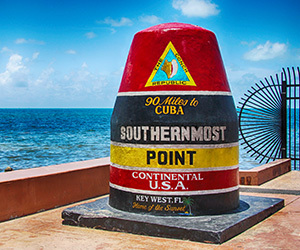 Located closer to Cuba than to Miami, Key West is Florida’s irreverent southernmost subtropical paradise, a unique confluence of history, climate, natural beauty, cultural diversity, architecture and unabashed romantic appeal. Key West Tour Company is offering all our runners 15% any tour! 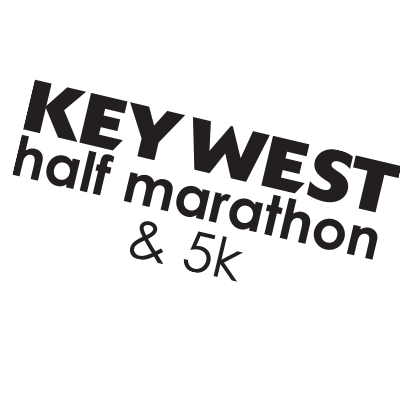 Call Toll-Free 866-857-2300 or book online at www.keywesttourcompany.com and mention or use code KWHALF when you check out! Key West is an island city located in the archipelago of the Florida Keys. This gorgeous, perennially sun warmed island is a choice vacation destination for avid sun seekers, deep-sea fishing enthusiasts, seafood lovers and other holiday-makers looking for some rest, relaxation and an awesome place for a marathon. Check out the new non-stop flight from Newark NJ to Key West on United Airlines. The Key West International Airport has commercial service and both the Key West and Marathon airports have charter service, general aviation and rental service. American Airlines operated by American Eagle, Delta,US Airways and United (operated by Silver Airways) provide service to Key West. The airport in Marathon is approximately 110 miles south of Miami; Key West airport 158 miles. For specific information on how to get here including direct fights to Key West, go to fla-keys.com/gettinghere. A leisurely drive from Miami and an opportunity to drive the only designated All-American Road in Florida. Only 30 other roads in the nation have received this highest recognition possible under the National Scenic Byways program. To reach the Florida Keys Overseas Highway, bypass the traffic of the City of Miami by taking I-95, I-75, or FL-836 to the Florida Turnpike, south. Card Sound Road offers an alternate route to Key Largo. Greyhound Bus Lines (1-800-231-2222), The Keys Shuttle (305-289-9997) and Florida Keys Express Shuttle (305-743-7454) serve the Florida Keys, Miami International Airport and Fort Lauderdale- Hollywood International Airport. Greyhound also services Marathon and Key West airports. Once you arrive in the Florida Keys, you may not need a car. In Key West you can park at the Park-n-Ride garage at 300 Grinnell Street in Old Town. You’ll do and see more on foot. Potential RV Camping visitors should consult with our RV Camping grounds for advanced reservations. On your drive down to the Key West Marathon in Key West, FL, The Florida Department of Transportation encourages travelers to use the 511 Traveler Information System before hitting the road to stay up-to-date on crashes, congestion and construction along their route. The 511 system provides information on all of Florida’s interstates, toll roads and other major metropolitan roadways, including those traveling near the marathon location such as I-95. Click here for more info on the 511 Traveler Information System. Down here in the Keys, the Overseas Highway is like our Main Street. And the best way to get around is to know the mile marker of your destination. These little green signs that dot our highway every mile begin just south of Florida City with number 127 and run all the way down to zero in Key West. They’re like our addresses. If you know the mile marker of where you’re going, getting there is easy. Once you are in the Florida Keys, please consider using alternative means of transportation. The Greyhound Keys shuttle runs the length of the destination. 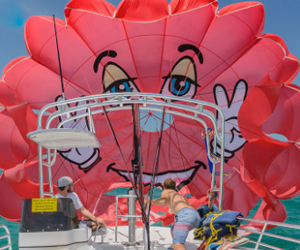 In Key West you can use convenient public transportation, taxis, pedi-cabs, tour trains, trolleys, bicycles or even your own two feet to see the sights.